Mykelti Lefau’s background in rugby means he had no problem adapting to the physicality of Australian football when he migrated from New Zealand in 2012. The 20-year-old Casey Demons player was born in Auckland to a Samoan father and kiwi mother, priming him for a career in New Zealand’s national game. But he soon added Australia’s national game to his skill set after relocating here in his early teenage years. Lefau hadn’t known of Australian football in his homeland and had only played the sport with friends at school before landing at the Pakenham Junior Football Club. “The timing of hits took me a while to learn… because I just like getting into them (opponents) when I tackle them. Lefau juggled the physicality of football with time spent in the development program of National Rugby League club Melbourne Storm for a few years, before deciding to focus on the former. He made three Peter Jackson VFL appearances in his first season with the Demons last year and has followed that up with a trio of games in 2018 as a 195cm, 96kg key-position player – including an eight-tackle, 11-hitout performance in Casey’s 77-point defeat of Coburg in Round 12. Lefau also impressed in AFL Victoria’s recent three-game Young Guns Series – an experience he described as an “awesome opportunity” – and returned across the Tasman in April to represent the New Zealand national team against the NAB AFL Academy in Wellington. He was one of his team’s best players in booting two goals that day and relished in witnessing the game’s growth there. 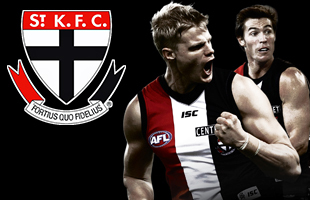 “The pace of AFL football is really picking up (in New Zealand),” Lefau said. “I’ve gone there twice now to play in (that) game and… I see so many new people (involved in football). “The whole team was pretty much new and it just goes to show how… the standard of footy there is getting much better. Lefau’s physicality has attracted the attention of some in high football places, providing him with motivation to join Hawthorn key defender Kurt Heatherley as kiwi recruits to have played in the AFL.